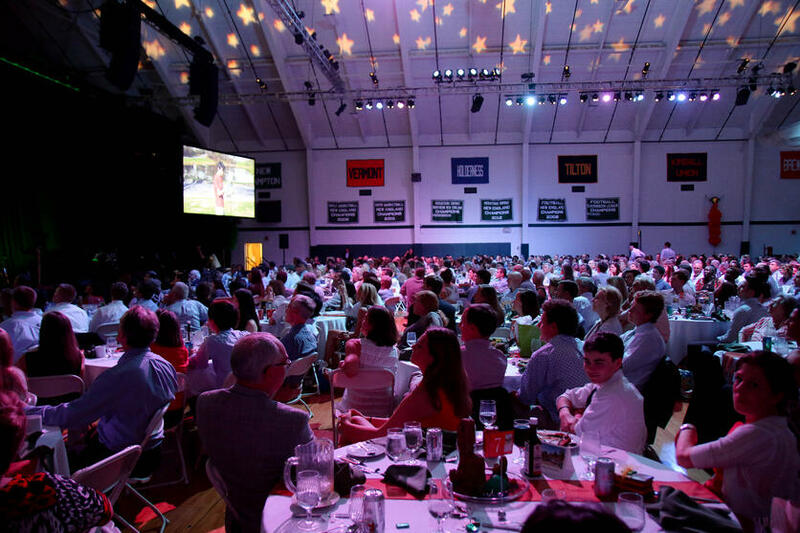 On Friday evening, Proctor's gymnasium was transformed into a dinner party for over 900 people as close family and friends joined faculty and staff to celebrate the accomplishments of the Class of 2016. Proctor's remarkable Dining Services team miraculously prepares and serves all 900 meals on site, and we thank them for their efforts! 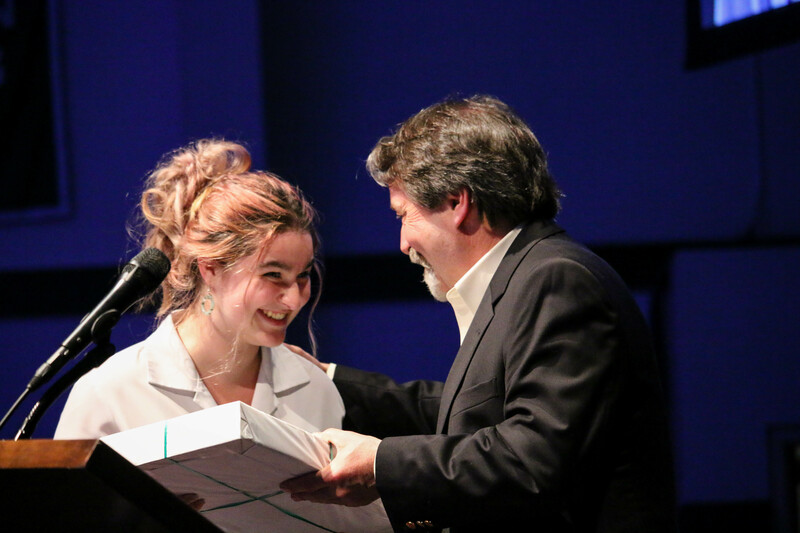 Following dinner, Individual awards were given to students for academic, artistic, and athletic achievements, as well as contributions to the community and Proctor's environmental mission. In between award presentations, musical performances by members of the senior class stunned the crowd. 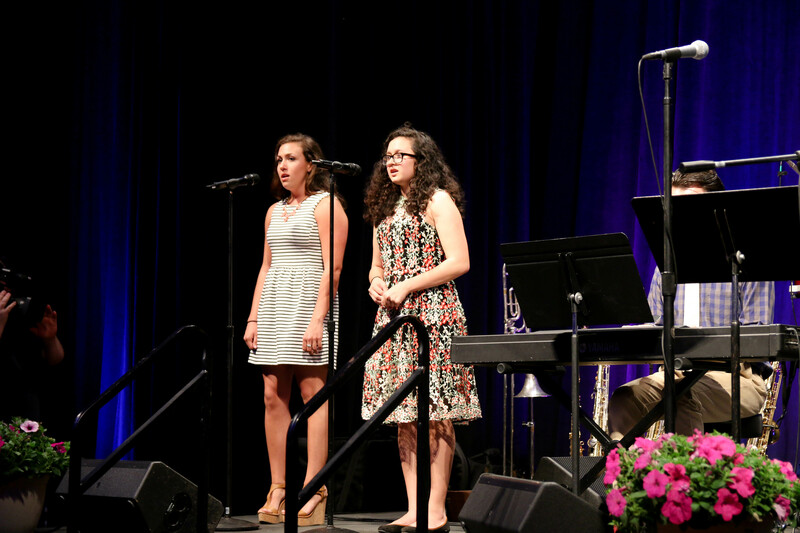 Below Haley and Grace are accompanied by vocal music director, Rob St. Cyr, in their final performance (of many!) as Proctor students. 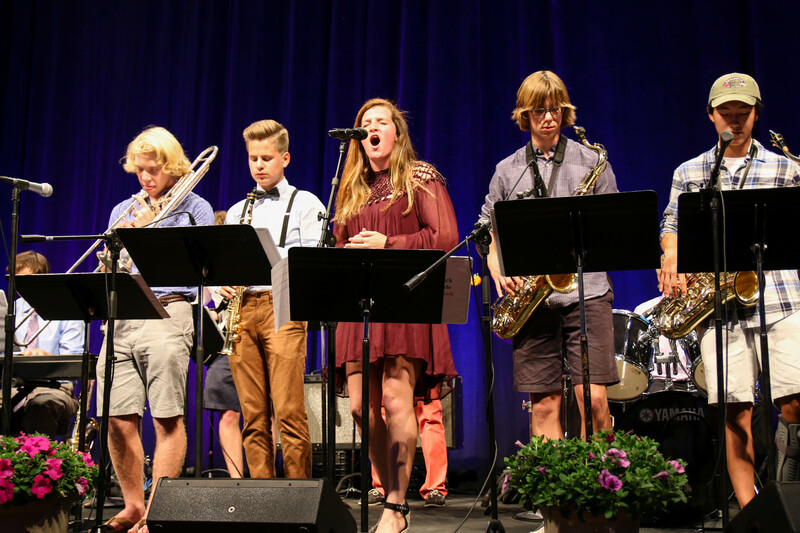 Later in the show, the Jazz/Rock Ensemble brought down the house with a stellar version of Chicago's 25 or 6 to 4 behind Paris' vocals! One of the themes of the weekend was record heat both Friday and Saturday as temperatures climbed into the lower 90s by mid-morning on Saturday. 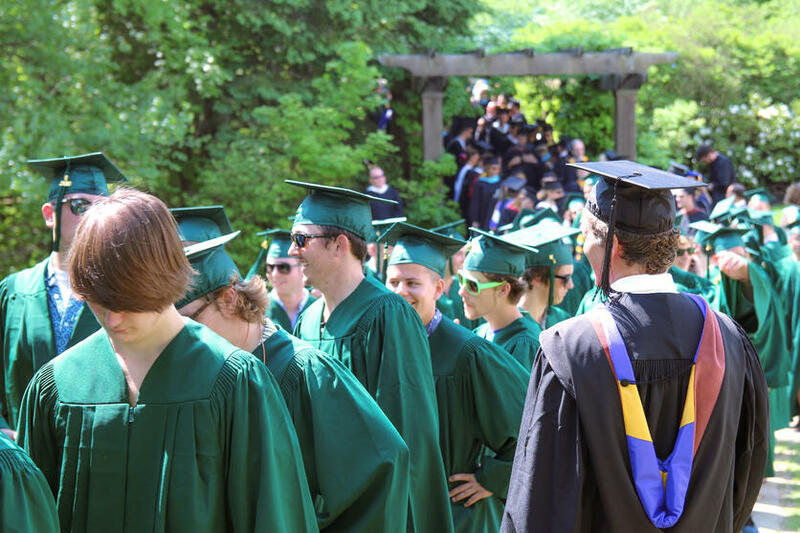 Prior to the official start of Commencement was a photo op in Alice's Garden next to the Fowler Learning Center. During a weekend of 'lasts', Taylor Methven '16 would remind us during her Senior Speaker speech that we must not live in the past. "Wishing you could relive the past only devalues the present. 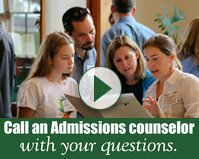 Be thankful for your Proctor experience, " she said, "but know your college will fall short. It won't be Proctor. 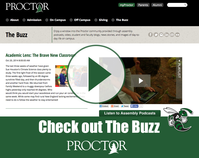 It shouldn't be Proctor. Don't miss out on the present by trying to relive the past." 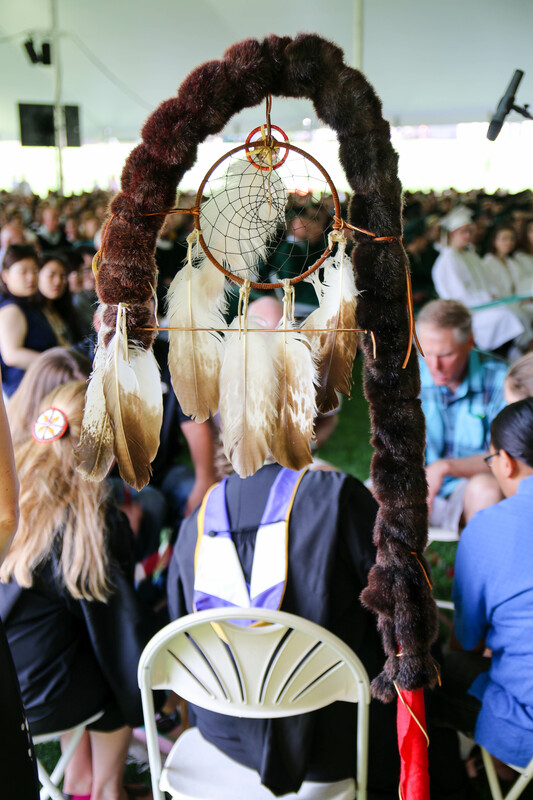 These pictures (and hundreds more linked at the bottom of the post) capture a moment etched in time for the Class of 2016, while simultaneously serving as a launching pad into a future filled with adventures. 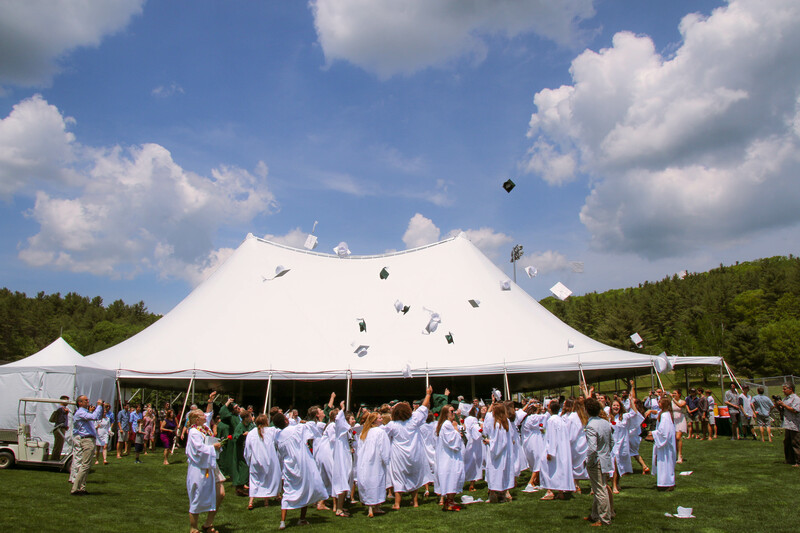 Students eagerly marched toward the tent on Farrell Field followed by members of the faculty who have been integral to their Proctor experience. 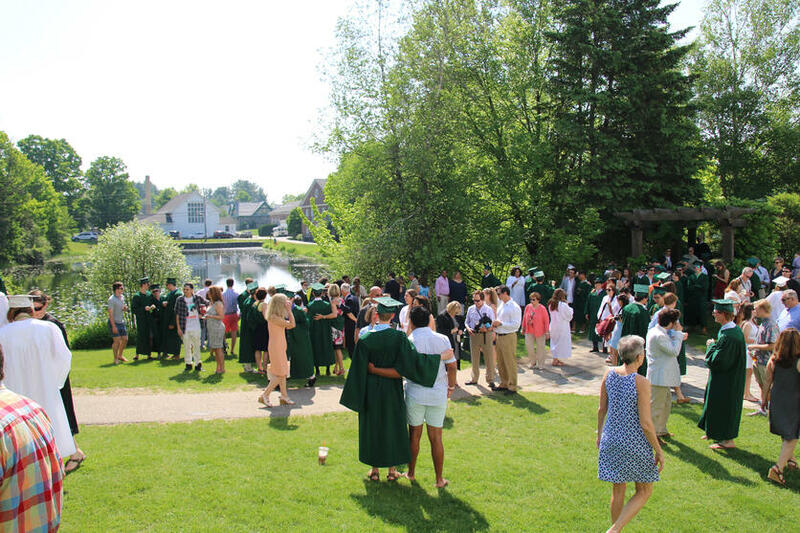 A new chapter was set to unfold both for the Class of 2016 and for Proctor's alumni family who was about to gain 95 new members. Following an invocation by former Chair of Proctor's Board of Trustee Bill Peabody, John Around Him opened the ceremony with a few words about his family's connection to Proctor over the past 30+ years before offering a traditional Lakota song performed by members of his family singing group (Buffalo Lips) and members of the Proctor community who have helped rekindle Proctor's Native American Connection. 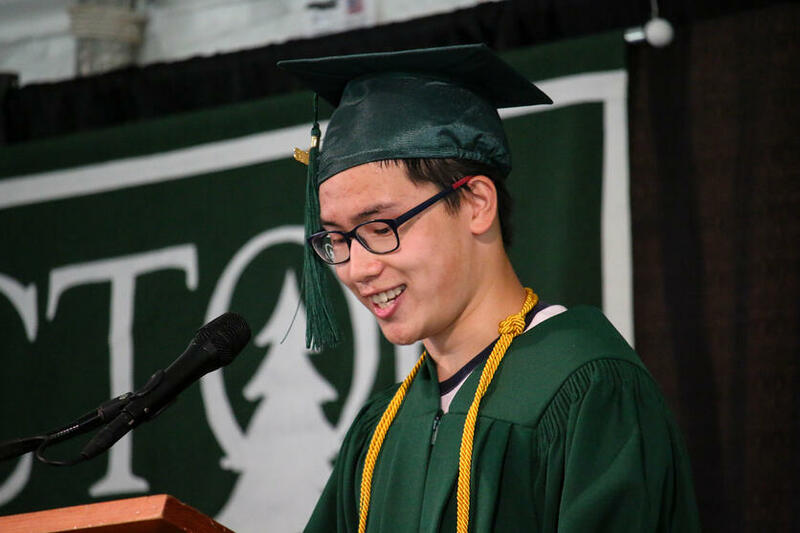 Soon after, Salutatorian Nick Zhou took the stage and gave a remarkable address to his classmates and the thousands in attendance. 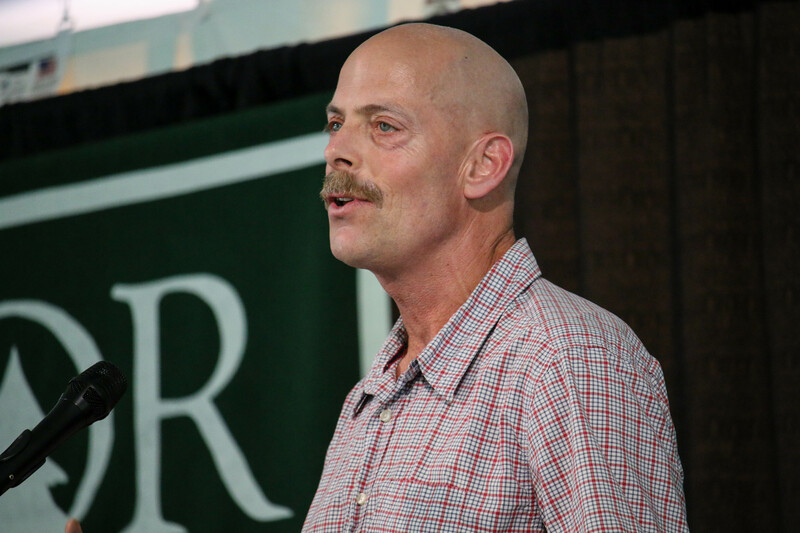 As he poked fun at the fact he came in second place, Nick simultaneously communicated the value of his Proctor experience in helping broaden his understanding of success. 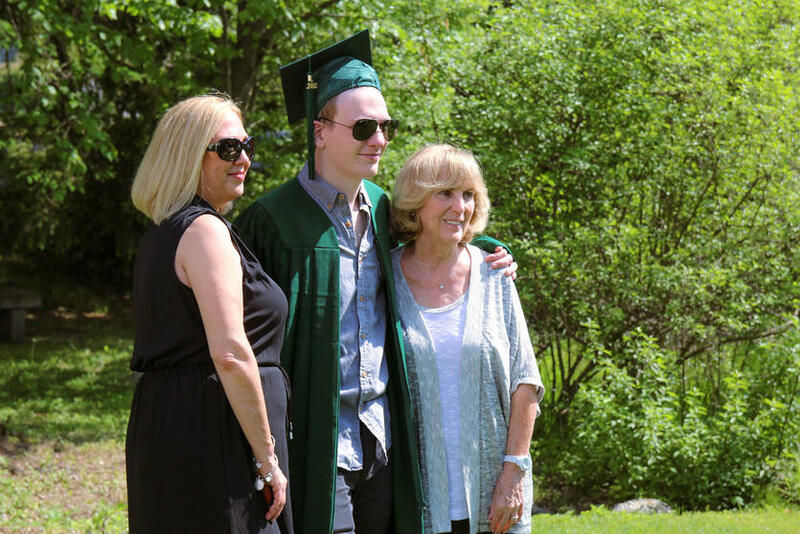 While he arrived at Proctor with the singular goal of being the top student in the class, along the way he discovered his passion for the arts, the value of friendships, and the role taking risks should play in his life. It is this balance, Nick said, that has allowed him to reshape his view of success for the future. 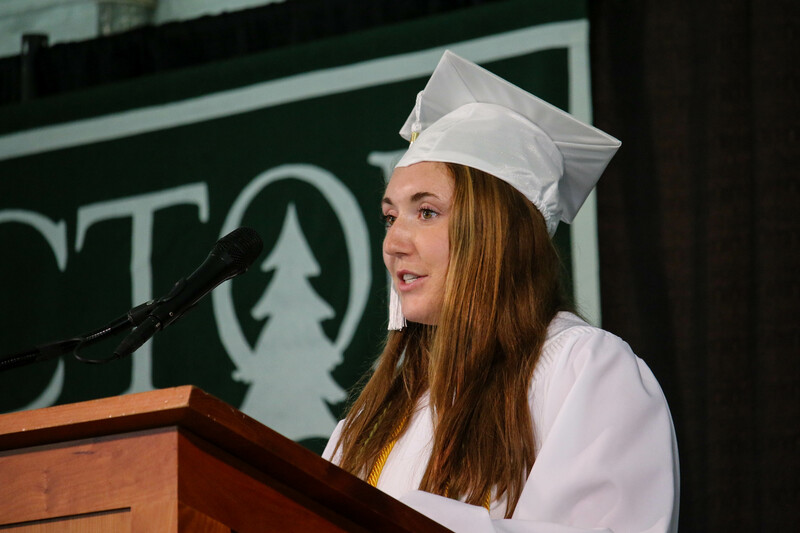 Senior Speaker Taylor Methven '16 (whose speech is referenced earlier in this post) took the stage next and offered simple advice to her class: Don't Miss It. Don't miss the present, and don't allow missing Proctor to impact your ability to take full advantage of the present wherever you are. 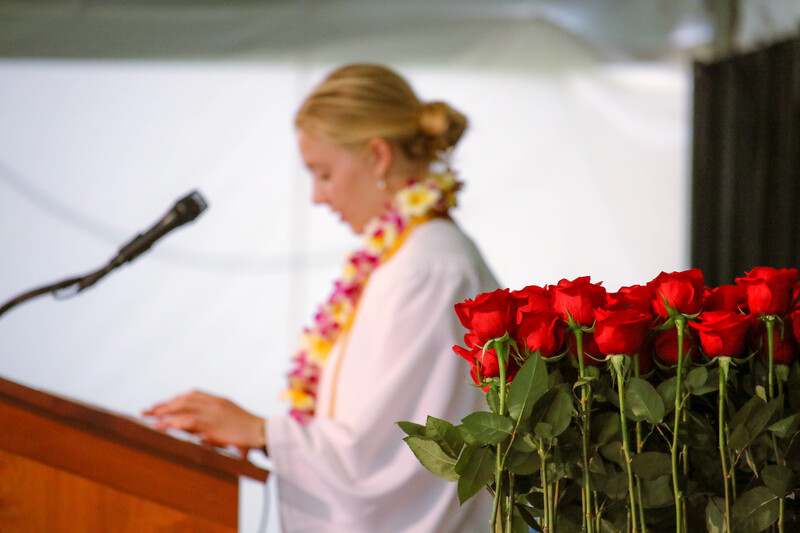 Valedictorian Maggie Royal '16 echoed Taylor's thoughts as she delivered a beautiful address focusing on paying attention to the world around us. "There are moments when time seems to move slowly for us and other times when it seems to fly by...In order to slow the pace of life, I need to keep climbing, keep looking for the next foothold. If I don't challenge myself, life will fly by." Maggie went on to share thoughts on how individuals who enter our lives influence us, and how much of her life is filled with influencers tied to Proctor. 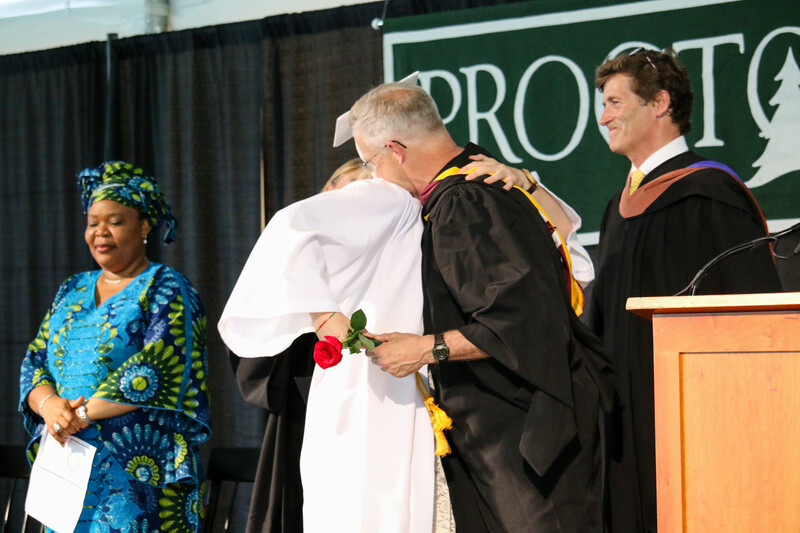 The ceremony culminated in one of the most powerful commencement addresses Proctor has experienced in recent years. 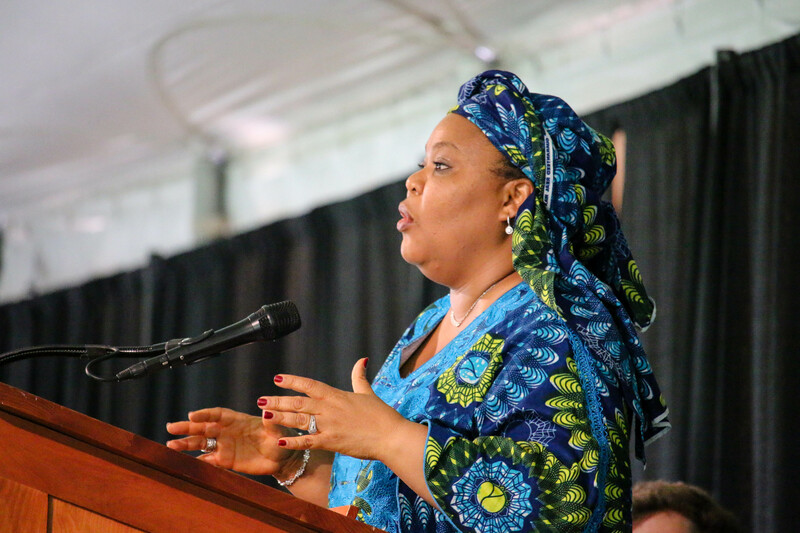 Proctor parent and 2011 Nobel Peace Prize recipient, Leymah Gbowee, shared a powerful testimony with the Proctor family imploring the Class of 2016 to do four simple things in life: be kind, be bold, make an impact, and leave a big footprint. Throughout her life's work as a women's rights activist in war torn Liberia, Leymah has seen both the worst of, and the best of, humanity. Her message to the Class of 2016 as they enter a world filled with negativity and hate is to have the confidence to be bold and leave an impact wherever you go. "Whatever you decide to do in life, be bold and leave an impact on those around you because the world needs it. 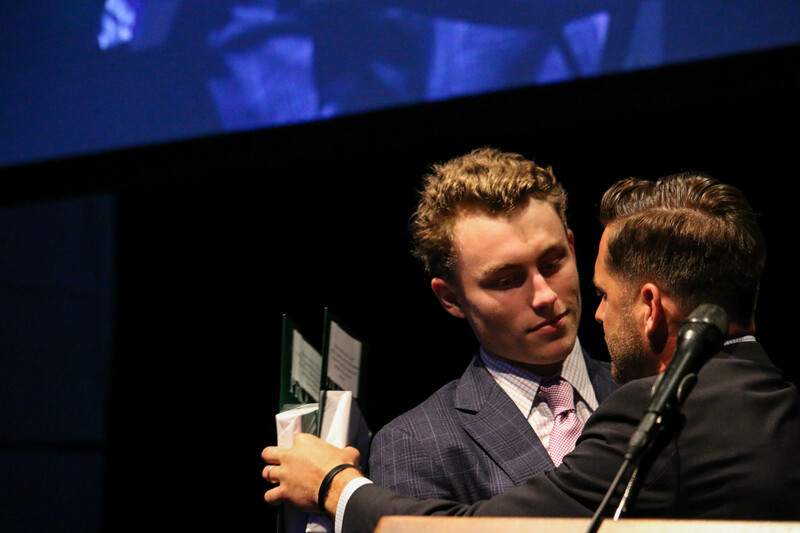 The world is crying out for young people to step out and use their gifts to their fullest." 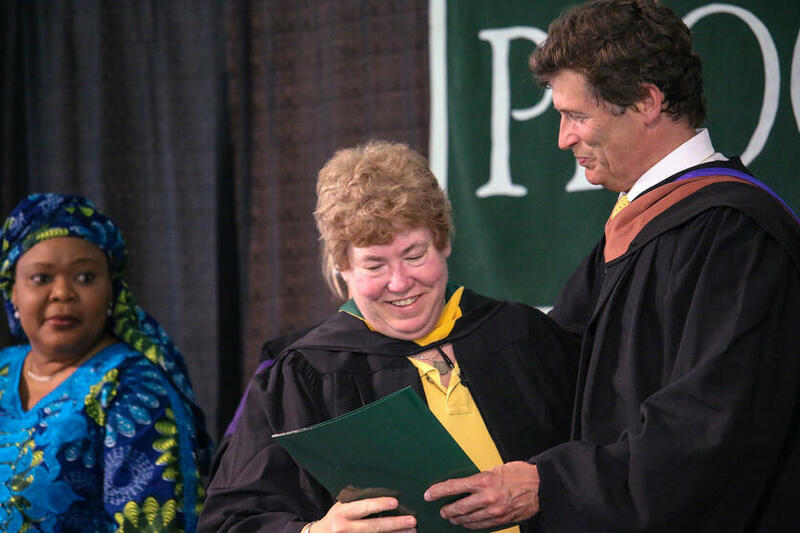 During Commencement Awards, recognition of faculty and staff were made. Alex Estin '83 was this year's recipient of the Nance Barrett Award for Community Service, while Buz Morison P'12, '14 received the Renaissance Teacher Award voted on by the senior class. Peter Southworth was awarded the John H. O’Connor '79 Award for Excellence in Teaching voted on by alumni two and five years out. 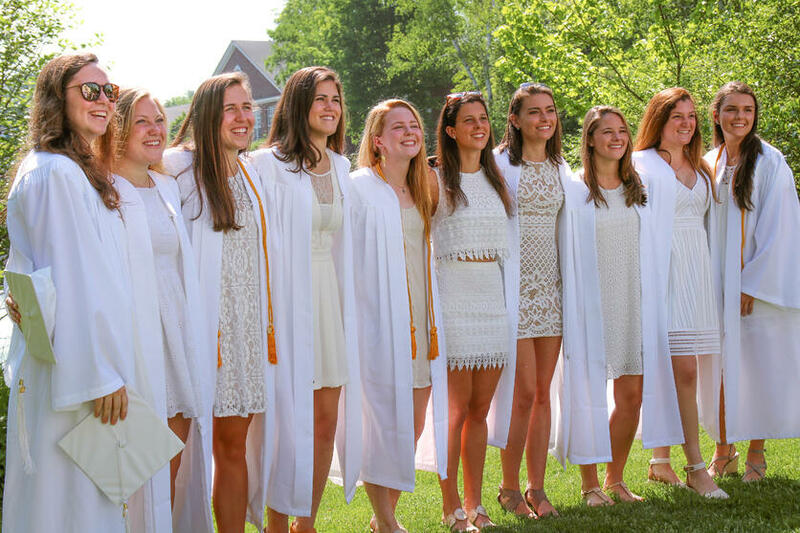 As the Class of 2016 recessed down the aisle and into the hot sunshine, their smiles spoke a thousand words. They did it. High school is hard work, and not just the academic component of high school. 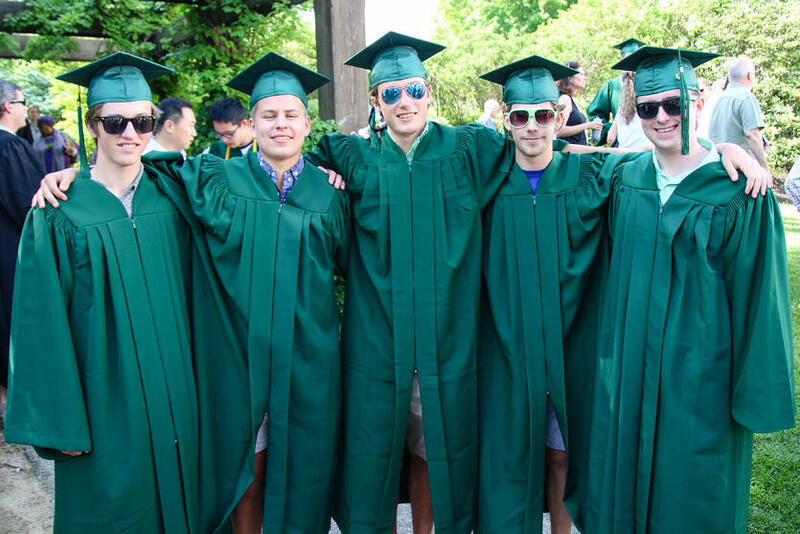 The four years these students spent in high school were filled with transformation, and we all know transformation is not a smooth, linear process. Instead, it is filled with ups and downs, and all sorts of unexpected twists and turns that test the patience of teachers, advisors, coaches, and most certainly parents. But we know it is through this unpredictable journey that passions are discovered, confidence is gained, and independence is forged. 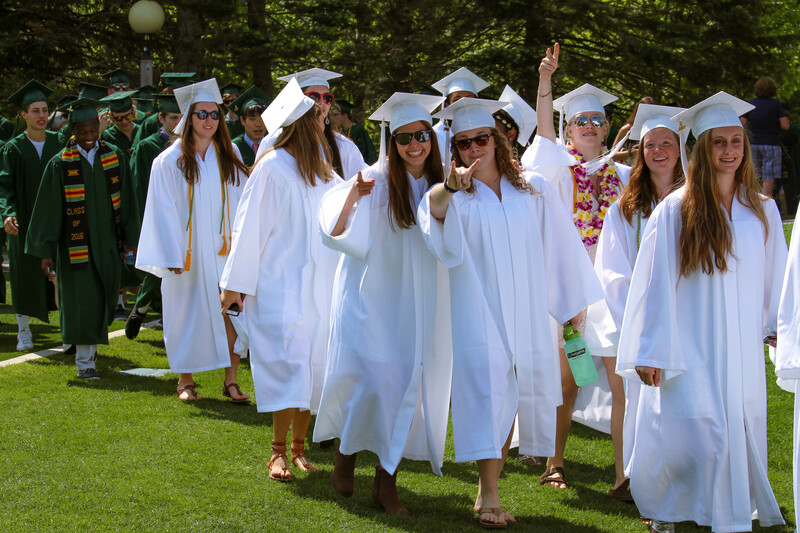 Just as Taylor encouraged her class not to miss Proctor once they leave, we need to heed the same advice when we think about the Class of 2016 because we sure are going to miss you!